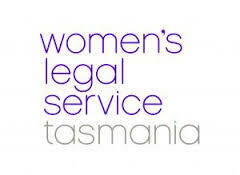 Below are links provided on the Women's Legal Service, Environmental Defenders Office and Tenants' Union websites which may help you find information about your legal issue, or information about important non-legal information, such as counselling our health services. Disclaimer: Please note the links below are for the purposes of information and operate as a guide only, not legal advice. Disclaimer: The information on this website is not legal advice. It is intended as a guide only. It applies only to legislation current in the state of Tasmania, Australia as at 1 August 2015.